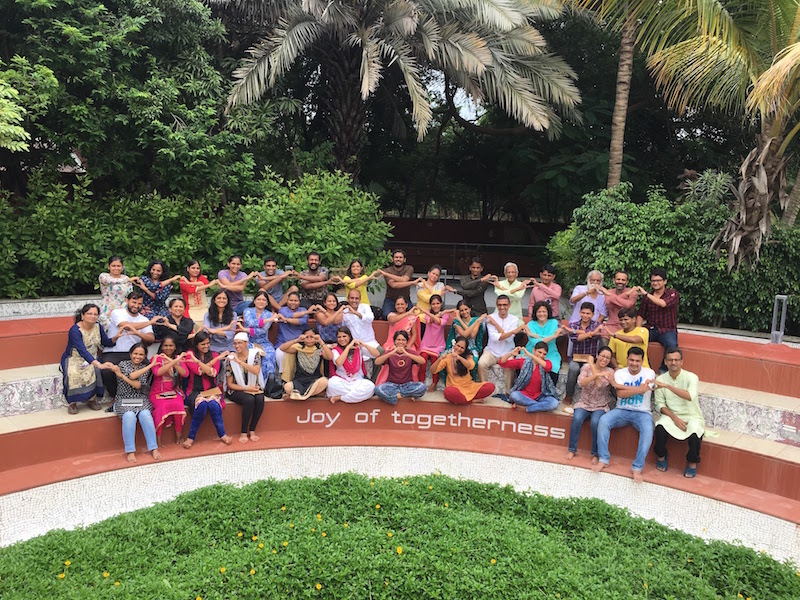 On a misty Friday morning, when the Sun was playing hide and seek, 43 of us came together for a three-day Head, Hand and Heart retreat at Sughad. Both the participants and volunteers came from all corners of India and abroad. Amongst the participants were Anganwadi teachers from rural Gujarat, organic farmers from Saurashtra, a CEO of a prestigious football club, an educator from London, founders of a yoga studio in Ahmedabad and an NGO working towards women empowerment. The amazing volunteers who came to serve at the retreat lead lives deeply rooted in the service of society — entrepreneurs, film makers and change makers, psychologists, founders and community servers from all over the country. Each volunteer at the retreat had an incredible story behind them. When such a group comes together to hold difficult and different questions of life, what unfolds is highly unpredictable. With this humility towards the unknown, Sheetal and Jignasha welcomed all of us with an open heart by expressing their gratitude for each one’s presence. Each one mattered because each one was unique in their own ways which made the circle so invaluable and rich. They also brought in the presence of everyone’s lineage and elements which were serving all of us in a very subtle way. The floor was opened with a seed question of sharing one moment of deep joy (aanand) that one has experienced. As we had a big group of teachers with us they shared how the unconditional love they receive from children overflows their cup of joy each day. Stephane shared a very touching moment that she had experienced few years back — a father of a 7-year-old constantly complained about his daughter who did not write despite going to the school. Suddenly this father called up one day and asked, “What did you do to my daughter, she has suddenly started writing and that too in her vacation time!.” She reflected on how we can only provide a conducive environment for the children to grow, rest we just have to trust. Renuka shared that joy is not in knowing that the child has learned all that is written in the textbook, the real joy is to see when the child reflects the values in his daily life. Sachi shared how she feels immense joy to see people who are bringing change by being the change themselves. She shared about her experience of the scabies drive that was undertaken by the children with whom she has been working for the last five years along with few other volunteers and how just to see everyone joining hands for the noble cause brought so much joy to her that she still cherishes. Aditya also shared how his work with children and different forms of art brings so much joy to him each day. Kishan who is a teacher at ashram- shala shared how when you do anything from the space of your heart, it brings joy. While resonating with Kishan, Saraswati, Mina and Prahalad also shared how observing children play, a warm hug from them, a simple Namaste or just a simple gesture of concern that the children show towards them makes their day. We were blessed to have many mothers with us who shared their experiences of deep joy while experiencing motherhood. Vidhya shared her moment which was 22 years ago when her newborn daughter was put in her arms and when both of them looked into each other's eyes for the first time. Rucha also shared of how she feels immense joy to see that spark of trust for herself in her child’s eyes along with observing nature bloom. Sanju, a mother of two beautiful children shared how she feels immense satisfaction when she is able to fulfil the needs of her children while being the only provider in her family. Manisha while remembering her mother shared how she misses her physical form but is able to connect to her essence in various other forms. Neil shared how he and his whole family managed to dance to the fullest in utter chaos when his brother was getting married few years ago and even today when he remembers that day he can feel his cells dancing. Madhavi who is a speech therapist shared her moment of deep connection at soul level with each of us while standing near the peace pole. Praveen who is working at grass root level in environment conservation shared how regenerating greenery, connecting with the farmer’s community and sustaining nature brings joy to him. Rajesh’s sharing of finding joy in cleaning toilets made all us think of so many stories of Ishwar dada. Krutika beautifully shared how when she is able to decode the games that her mind plays, brings joy and peace to her. Pooja who is a yoga teacher finds joy in the process of giving to others. Her intention is to walk from Swaarth to Ni-swaarth in all aspects of her life in the process of giving. Sunita very briefly but very deeply shared that being present to life brings joy to her whereas Manisha finds joy instantly as she connects with others. Bhumi felt the journey of self-exploration and knowing self is bringing joy to her while Supriya feels accepting life as it is and choosing happiness in every situation brings her lot of joy. At the end Pranit shared how he could connect to each one's authentic self while listening to pearls of wisdom and deep connection with self, nature and others. Post lunch we had masti time with Trupti and Gitanjali who connected all of us with the child within with few energizers. Followed by a presentation which Jayesh bhai lovingly says Love-station by Khusmita and Meghna shared about the mother ship- Service space, MBL projects, online spaces such as Laddership circles, Awakin dialogues and few offline spaces such as Karma kitchen, HeART circles, Karma Meals, Awakin circles across cities where the intention is to lead with Inner transformation. Post-tea break we headed for an outdoor trip to Safai Vidyalaya where Sanchi and few children from Ashram-shala welcomed us with few prayers and briefly introduced us to the institution and the legacy of Ishwarbhai Patel. We all had a glimpse of the life of Ishwar dada and his dedication towards inside-out sanitation. We also had a chance to see Sabarmati Ashram, before heading to the much awaited evening at Seva Cafe, a restaurant that defies normal economics. The evening was weaved in with prayers and spirited talks. Ashish shared his journey from a successful investment banker to now his exploration as an inner-net banker. Gitanjali shared her work with the didi’s and children at Delhi, sharing stories of kindness, authenticity, love and compassion in the dark and dense alleys of G.B road . Umang a teacher from Asharam-shala shared how she had to imbibe practices herself while teaching tribal children right from taking bath, to combing hair, brushing teeth to seeding values through daily practices such as praying, greeting other with respect, sharing and caring for others and how. 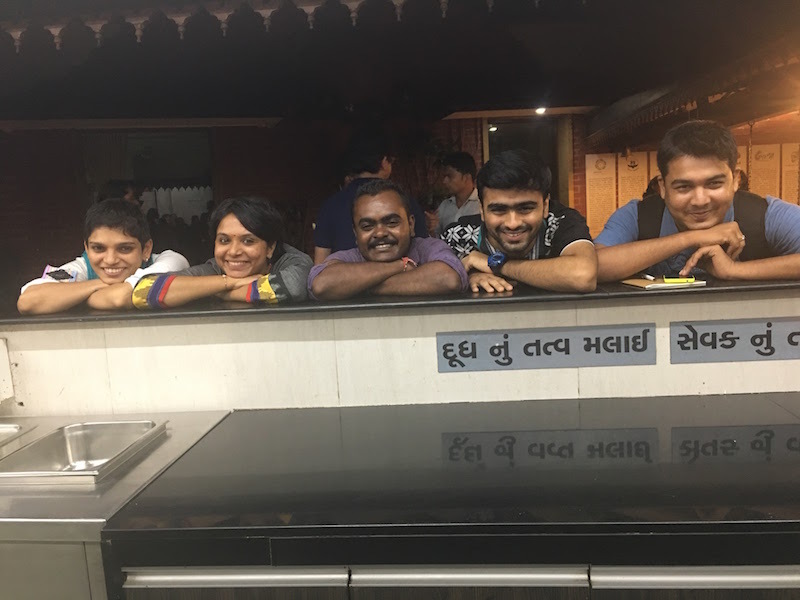 Our day ended with our hearts full of gratitude for the Seva Cafe team for hosting us so warmly and for serving us Love + Food= Prasad. 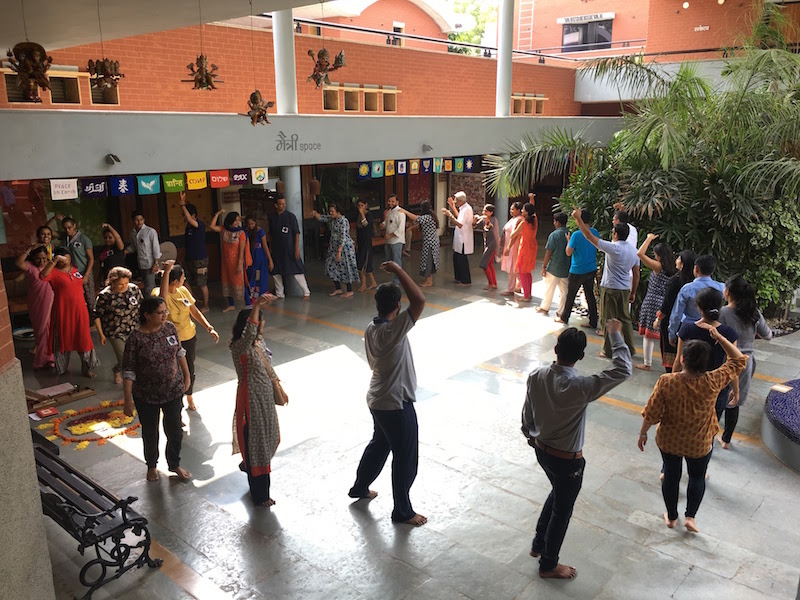 The second day morning started with frisbee, yoga, meditation and chopping veggies in the kitchen followed by conversations with Devendra bhai who shared his journey of internal cleansing via outer sanitation. He shared few personal stories with Ishwar Kaka who always focused on amplifying and appreciating the good. He never preached or advised but just did the work because it was the right work. Devendra Bhai urged us to shed all our doubts on self and the universe and just take the first step towards the right work. Arun dada shared his experience of his journey to Cyprus and beautifully ended the circle with a bhajan which filled every one’s heart with love. The second day typically signifies hands activities and how outward act of service can transform our inner being. 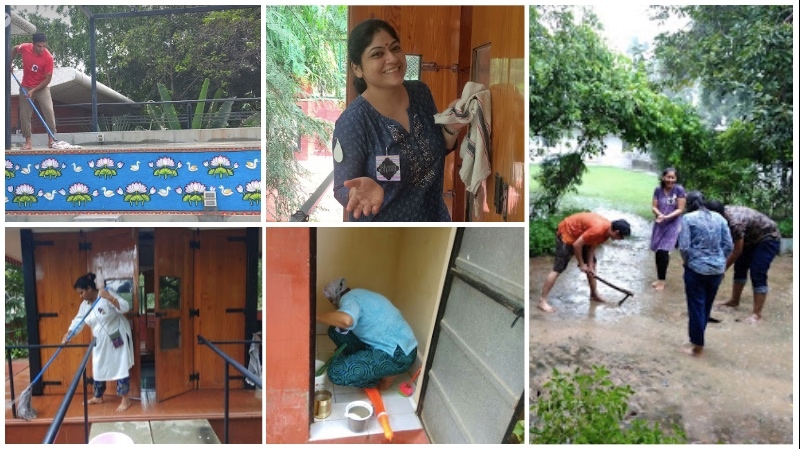 The group was divided into various activities where everyone wholeheartedly cleaned toilets, made Jhadus (brooms) for the first time, washed floors and cooked food for the entire team. Vivek very candidly shared, as part of the kitchen team at Kabir ashram he enjoyed serving everyone. “In giving, I receive”, he reflected. Kiran ji remarked likes attracts likes and act of service create soul affinities. The action-packed day ignited his understanding about service. Avdesh found joy in making brooms and realised that the lessons of life are in doing such simple acts. He was deeply inspired by the life of Arun dada, and whenever he thinks of him, it brings a smile on his face. 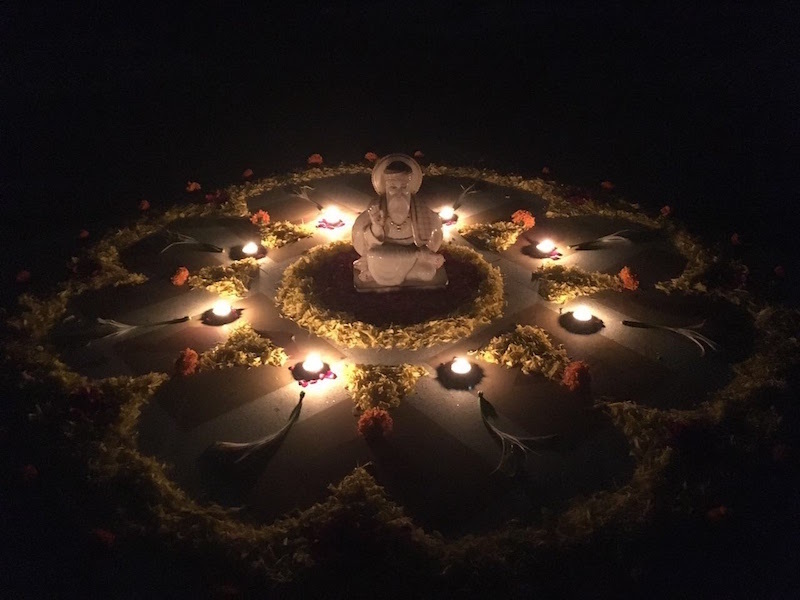 Varsha, who choose to clean toilet while doing 28 acts of kindness on campus, felt little unusual in the beginning, and she shared, "as resistance to the work collapsed the job became effortless," which brought a lot of smiles to everyone sitting in the circle. Priyam, observed while doing the cleaning work everyone was working in harmony and they all brought their resourcefulness without anybody telling them what or how to do it. 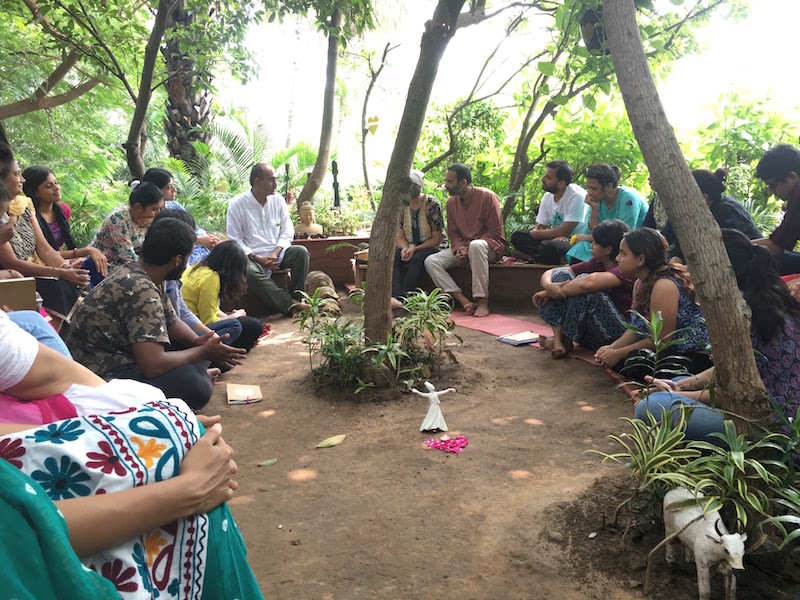 After a small break, we hosted an Awakin circle and Parag explain the spirit of the circle and how it is rooted in giving. Devesh lead all of us for dinner where silence and prayers merged into a pious evening filling each one's plate with deep sense of gratitude. The day of the heart opened with Jayesh Bhai speaking about his own journey with sanitation, service, and love. His deep learnings from his father who even in his last breath thought of others and constantly served thousands of beings throughout his lifetime. thats how much you will be obstructed. The three days of retreat left everyone with this question, what do I have to become to create this eco-system of joy, love and interconnectedness inside-out ? Beautiful, really enjoyed reading and the photos!! Around the globe there are forums that are going to present more and more for working. So far this is known you can adopt some basic concepts from this. our post has been so helpful because it was clear and concise writing made it easy to understand. Thank you!